Experience southeast Louisiana in the most exciting way possible by shooting full auto machine guns and seeing some gators. First stop is New Orleans premier shooting range where you will shoot an assault rifle and hand guns, next stop is an airboat ride in Jean Lafitte Swamp, home of some of the finest alligators the bayou has to offer. Starting off at a top notch shooting range guests will receive expert instruction from certified range instructors on a fully automatic AR-15 assault rifle and an MP5. This makes for the most exhilarating morning available in Greater New Orleans, and plenty of photo opportunities to make your friends back home jealous. 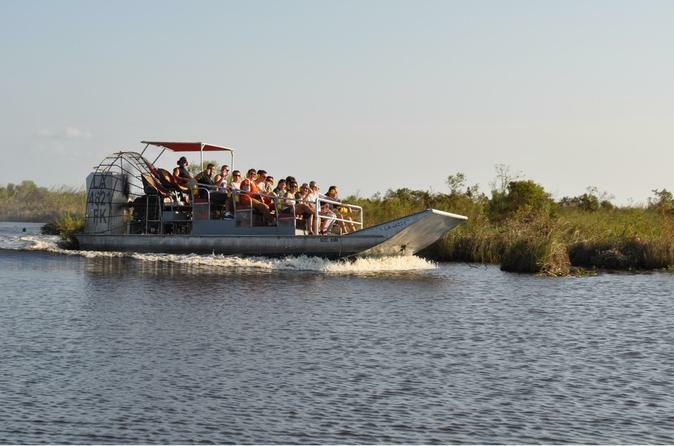 After departing the range guests will arrive in the Jean Lafitte swamp where they get to experience all that the swamp has to offer onboard the best form of transportation available, the flat bottom open fan airboat. Over the course of the 1 hour and 45 minute airboat tour, guests will come face to face with Louisiana wildlife, including white egrets, blue herons, and of course, alligators. All under the watchful eye of one of the most experienced boat captains the swamp has to offer.